being MVP: MAM Baby & Giveaway! Stylish Design and Function is perfectly married in MAM products. MAM employs medical professionals in their developmental process which equates to the best for your growing baby. I received an assortment of MAM products for Mason including items from their Oral Care line. I am so happy that MAM creates oral care products. Proper and early care of a baby's gums and teeth will lead to healthy teeth later. Kenzie uses MAM's toothbrushes because they have the perfect size bristle and handle for little tots. She enjoys brushing her teeth because I introduced it to her early. Mason will get an even earlier introduction thanks to MAM's Oral Care Rabbit. You can use this as early as soon after birth to clean baby's gums and tongue. Mason usually has white milk residue on his tongue and I'm sure his teeth as well. The oral care rabbit slips easily onto your fingers to gently massage gums and clean breakthrough teeth. Mason enjoys this time and I am glad he will have healthy gums. The Bite & Brush will be fantastic for Mason next month. It's a teether that also cleans baby's first teeth! Buy It: Check out this Store-Locator to find MAM products near you! I want to try that oral care rabbit! I like the Learn To Drink 9 oz cup. Mam are the only pacifiers my kids have liked and I love that they have clips as well! I love the personalized pacifiers! I love the Bite and Relax Phase 1 & 2! I love the first brush! I'd love to try the MAM Soft pacifier or the MAM Cooler teether. I like the first brush. I'd like to try the oral care rabbit. I'd love to try the bite & brush! I'd love to try the MAM Anti-Colic 8oz bottle! These look like great products! I would love to and plan to try the "Mam Bite and Relax" both phase 1 and 2. Look like great teethers! The Bite & Brush. These look like great products! The oral care rabbit is adorable! I would like to try their Bite and Brush. 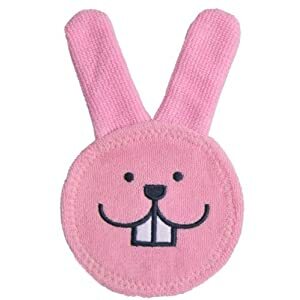 I would like to try the oral care rabbit - so cute and comes in both and pink and blue. I'd love to try the oral care rabbit! I like the training brush in blue! we love our MAM pacis! my daughter loves MAM pacifiers! I want to try the first brush. I'd love to get the first tooth brush! I like the personalized pacifiers. the bite & relax phase 2 looks great! thanks! the bite and brush is really cool! I would like to have the The bite & brush. I would like the to try the Bite and Brush teethers! Love the Oral Care Rabbit and the Massaging Brush. I like the The bite & brush. I love the Trainer Training Cups. The massaging brush looks useful. I want to try the Oral Care Rabbit. The oral care rabbit looks neat. The oral care rabbit looks handy. I would like to try the Mam cooler! would love to try a training brush! The oral care rabbit and/or the massaging brush! Great giveway! I went to their site and think the MAM Start "Tender" pacifier would be great to try! I'm expecting, so winning would be wonderful! Thanks for the opportunity! I would like to try the First Brush, Spring Green. I'd love to try the Bite & Relax Phase 1 teether! I like the Bite & Brush - Cactus Green. I'd like my daughter to try the first toothbrush. i LOVE the oral care rabbit!! That's adorable! I also really like the mini cooler for when the molars start coming in. that is a definite must have. I like the Oral Care Rabbit. I love the oral care rabbit! I like the MAM Cooler because it reaches the molars! I would like to try the massaging brush! I'd like to try the oral care rabbit For our little guy! The bite and brush for sure- she has these two baby teeth that I have not been taking care of like I should. The oral care rabbit is a good idea. i love the oral care rabbits! http://www.mambaby.com/us/the-products/learn-to-drink-9-oz-835-11103-us.html this cup would be very helpful! I'd love to try the rabbit! The Learn to Drink 9 Oz. cup and the oral care rabbit! I think my tiny would love the bite and relax. They look like something he'd love! The training brush would be wonderful for my youngest! I want to try the toothbrushes. I can't find them anywhere! The bunny glove and the cup would def come in handy! Would love to win one of the bite and brush bunnies for him! The Oral Care Rabbit and first toothbrush! Love the brush bunnies! I definitely want to get these! I would love to try to the First Brush! I would love to try the Oral Care Rabbit. I've never seen the oral care rabbits I would love to try these out on my triplets! Love the Oral Care Rabbit! I would like the MAM Mini Teethers for my grandson. Any of these products would be great for us as we are preparing to have our first child in the Spring and do not have any supplies yet. I am very interested in the MAM Oral Care Rabbit because in my research I have not seen anything else like this before. The bite & brush i have been dying to try and also the MAM oral care rabbit! !